Another single note flavor from Al Waha shisha tobacco, Watermelon provides you with the sweet and refreshing flavor of candied watermelons. Because this is a single note flavor, it is easily mixed with a wide variety of other shisha flavors to create many unique hookah tobacco sesssions. 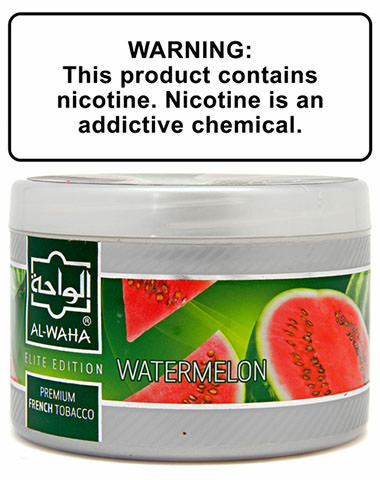 Watermelon Al Waha Shisha Tobacco has a average rating of 0 stars out of 5 stars based on 0 reviews.